The fifth-gen 88 digital multimeter made by Fluke is undoubtedly one of the best devices of this type in the business. It’s the modern version of Fluke’s old 88 units and certainly the best one so far, featuring an outstanding construction quality, superb features, as well as a fantastic level of accuracy. Along with its standard functions, this tool can also help you with a plethora of other measurements, such as low pass filter, pulse width, RPM, and others. All of this turns it into one of the best options for the experienced electricians and automotive technicians. Coming in Fluke’s signature black & yellow color combination, this model sports one of the most durable constructions we’ve seen so far. This gadget can take a serious pounding – an accidental drop won’t cause it to break into thousands of pieces. It has a nice display, a facade with clearly labeled buttons and inputs, an easy-to-operate dial, and is powered by a 9V battery. When it comes to functions, the Fluke 88V allows one to measure things like AC and DC voltage, AC and DC current, capacitance, conductance, resistance, frequency, temperature, RPM, diode test, diode cycle, and many other things. It is, without a doubt, one of the most versatile DMMs on the market. Along with its great current and voltage ranges, the model also has quite a wide capacitance range, as well as conductance, frequency, and resistance to 50MΩ. Just like we expected, the continuity measurements are rapid with this unit, and the same can be said for the auto-ranging feature. Even though the auto-range is the default setting of 88V, one can also switch to manual mode whenever he wants. When it comes to current-measuring capacity, the model can handle 10A continuous in DC and AC ranges. One important thing to say here is that 88V isn’t a True RMS model, which means that you won’t be able to measure current signals and non-linear AC voltage accurately. On the other hand, its 10MΩ input impedance is quite good when it comes to testing electronic circuits, as it results with a lesser chance for damage. Other benefits are the auto-hold feature and a generous temperature range. If we don’t count the extremely rugged Fluke 28 II, the 88V is one of the company’s most durable models yet. Along with its cousin 87V, this model has been produced to withstand any kind of abuse, wear, and tear. It features a sturdy case with an additional, toughened rubber holster, so there’s no need to worry about breaking in case of a drop. Fortunately, the model’s interior is as equally durable, having an arrangement of parts that prevents water damage. All parts of the device are well-designed – the circuit board, the buttons, the jack input sockets, the dial selector, as well as the battery access door. Unlike many other measuring devices manufactured by Fluke, this one does not have a faulty display. The 88V sports a 20000-count screen that displays 4.5 digits and looks very clear and sharp. Just like we expected, there’s an analog-style bar graph shown on the screen, and its purpose is to pick up minor differences when working with rapidly-changing signals. We should also mention that the screen has 2-stage white backlighting. It can come in very handy when you’re working in poorly illuminated areas, such as beneath a car. The safety rating of this DMM certainly deserves special words of praise – it accommodates 600V at CAT-IV and 10000V at CAT-III. This will allow you to safely work with three-phase systems. In addition to that, the model’s amperage circuits are protected by HRC fuses, both of which are rated 1kV to earth. There is even an alert feature that warns the user if he selects the wrong range with the dial. At the end of our testing period, we have concluded that this DMM is best-suited for automotive technicians and electronics technicians who are involved in industrial work. However, it is worth mentioning that its user-friendly design makes it adequate for entry-level trainees and DIY enthusiasts – they certainly won’t have issues with figuring out how this gadget works. Even though it’s one of the best digital multimeters that Fluke has manufactured so far, the unit still features a couple of downsides. The biggest one of them and a real deal breaker is the price – the 88V is quite expensive. Those looking for a budget-friendly option will have to look elsewhere – it’s a shame to see the high price putting this versatile model out of the reach of many handymen. Furthermore, the unit was a bit bulkier than we initially expected and is in sharp contrast with other Fluke’s DMMs when it comes to weight and size. However, some might like this, as it only adds to the device’s genuine and original feel, preventing people from thinking that it’s a cheap knock-off. 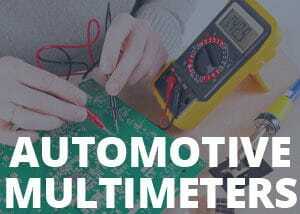 As expected, the users are in love with this meter – they say that it’s among the most used gadgets in their workshops and recommend it to their friends and acquaintances. 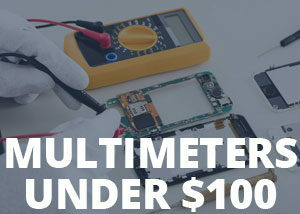 The users claim that the combination of sturdy construction, a wide array of functions, and a lifetime warranty put this multimeter above the competition, saying that it looks and feels just as advertised. In conclusion, all we can say is that Fluke 88V definitely deserves your attention if you’re looking for a high-quality digital measuring device. This is especially true if you’re an automotive or general-purpose electrician – this model will provide you with all the possible functions you might need for your work. However, don’t be discouraged if you’re a beginner in the world of electronics – figuring out how this device works is exceptionally easy, and you will be able to use it as an expert in no time. It is, after all, as user-friendly as it is elaborate and reliable.